Why am I told not to switch my dog’s food? I believe that over the years we have been brainwashed by mega-pet food corporations on topics such as changing diets. We were always told, “never change foods” and “never feed ‘human’ food” (or FOOD as I like to call it), or your dog’s guts will explode and you’ll be sorry! If we break down this ‘warning’ and put the common sense filter on, what do we really hear? “Don’t ever switch your dog off of OUR food, or you’ll be sorry!” It’s definitely in the best interest of any company for your dog to stay on their food indefinitely. 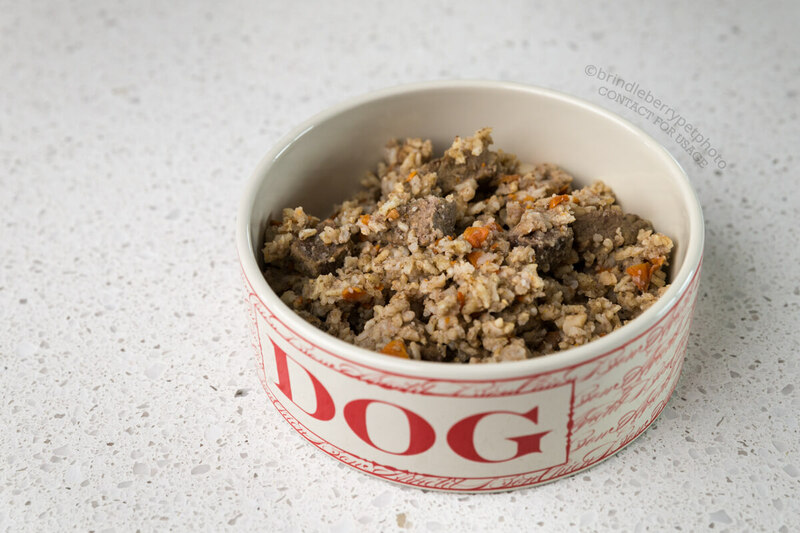 Now, I am not saying go out and give your dog a buffet today after reading this blog post, because when a dog is fed nothing but the same food day in and day out, and you decide to transition to a new diet there is truth to be found in the above statement. Imagine if for example, that after being dairy-free for a few years, you one day have an incredible craving for milk and cookies. Before you know it, you’ve downed a liter of the white stuff. Do you think your guts will be happy? Not likely. Same goes for spicy foods, etc. So when you keep your dog on the same diet their whole life, making a diet transition becomes harder, so it becomes a self-fulfilling prophecy of sorts that there will be digestive upset. So what do you do? Healthy gut flora is VERY important for dogs and people, and can be difficult to achieve in this day and age with diet alone. 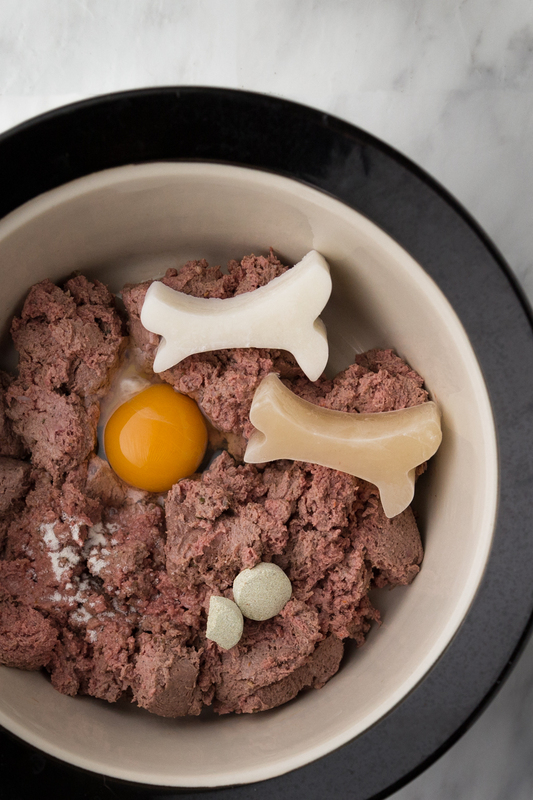 Supplementing your dog’s diet regularly with a high-quality probiotic can help keep the balance on point! 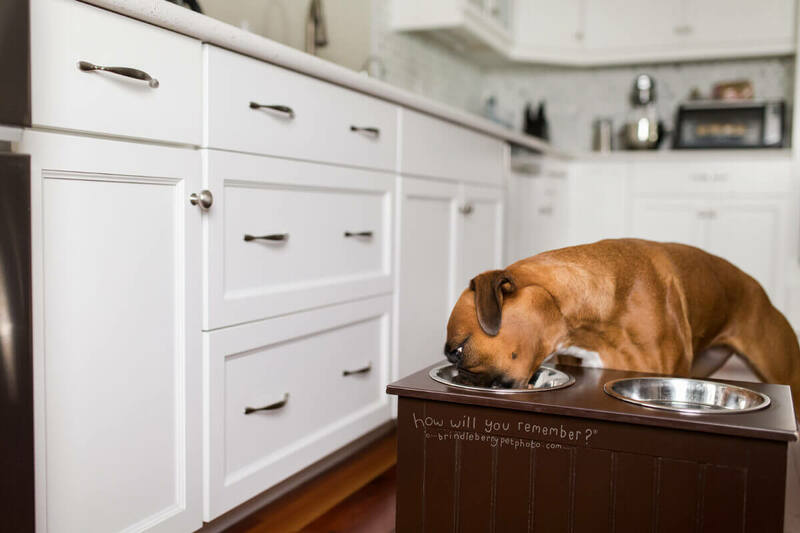 A digestive enzyme can start breaking down the food for your dog, making the transition to a new food easier. When comparing probiotics, be sure to look at the servings size AND the CFUs (colony forming units). Many products may look appealing price wise, until you factor in the CFUs and the servings size – then maybe not so much! It should also contain a PREbiotic, which is essentially the food that the PRObiotics require to do their job. You may also choose to purchase a probiotic that is designed for the unique gut of a dog, instead of using ones designed for humans. There are many products on the market that contain both a probiotic and digestive enzyme. My favourite is The Adored Beast’s Healthy Gut. There is a reason that people can eat something different for each meal and usually don’t have any negative “consequences” because of it. It’s because our bodies are used to it. We do it every day. When we were babies, our parents gradually started introducing new foods to us until we were eventually able to handle many. We can do this for our dogs and puppies too! Of course if you are like me, you know not everything agrees with you – and that’s going to be the case for our dogs too. Dogs are scavengers by nature, which means their ancestors (or even the strays of today) are used to eating whatever they can find. So we can feel good about offering a variety of foods from day-to-day or even week-to-week to our pet doggies. Over the past decade, I have seen some of the high-end pet food companies get smart about responding to the consumer demand for providing variety, and they have created variety within their food lines. For example, Nature’s Variety Instinct provides several different dry, canned, raw, and freeze-dried formulations within their line that are meant to be rotated. Of course, you don’t HAVE to stick to their line, but if it makes you feel better to, there are options! 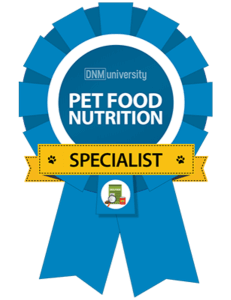 Champion Pet Foods and FROMM four-star are two other great examples, although they don’t include RAW in their line-ups. 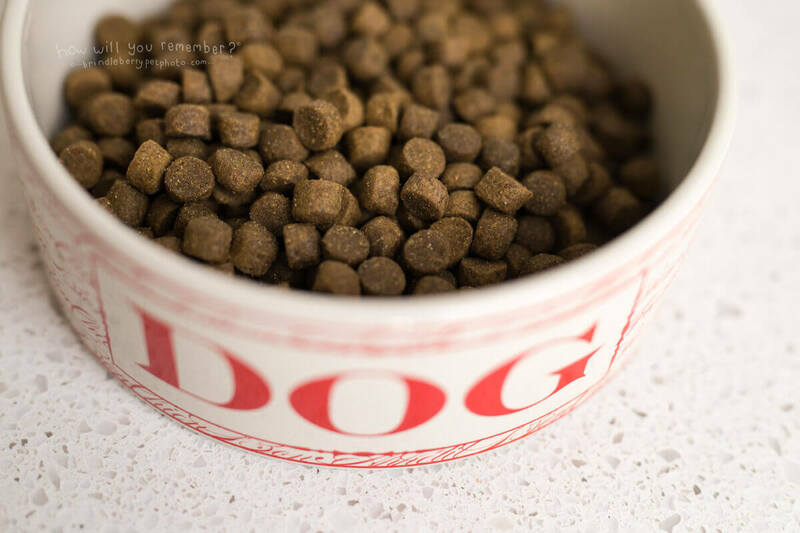 If you’d like to learn more about the different types of commercial dog diets, check out my article: Navigating Commercial Dog Diets. One of the most common causes of diarrhea and gas is over feeding. There is only so much one can digest at one time! Therefor, when doing a food transition it’s important to start small. The food bag has a recommendation based on your dog’s age, activity level, and size. This is ONLY a recommendation! All dogs are different, so choose a good, easy amount to start. I usually recommend starting on the LOW end as most companies give a higher than needed recommendation: A: because we are used to seeing overweight dogs and we won’t realize if our dogs are slightly heavy and B: money. You can always increase the volume, and feeding less is better than feeding more during a transition. When transitioning from one kibble to another, if you can transition over a few days that’s ideal! Start by introducing 1/3 NEW kibble to 2/3 OLD for 1-2 days, then 1/2 NEW kibble to 1/2 OLD for 1-2 days, then 2/3 NEW to 1/3 OLD for 1-2 days, to 100% NEW kibble! If you are completely out of the OLD food, just start by introducing several small meals of the NEW kibble with an overall smaller than recommended volume of food. (See the raw example below for more details.) Try this for a day or two and go back to your regular feeding schedule and food amount if all goes well. When transitioning from kibble to raw, I find you get better results if you just go right over to raw. In this case, we are just going to watch our serving sizes. If your dog’s recommended raw serving size is 2 patties per day for example, and you feed them twice per day (1 patty per meal), start on day one by feeding 1/2 a patty for breakfast. Wait for them to have a bowel movement, and if the stool seems fairly solid (food transitioning can create looser than normal stools, but should still be formed), then proceed to feed the other 1/2 patty immediately. If that goes well – feed 1 full patty for their next scheduled feeding and BOOM your dog is transitioned to raw! 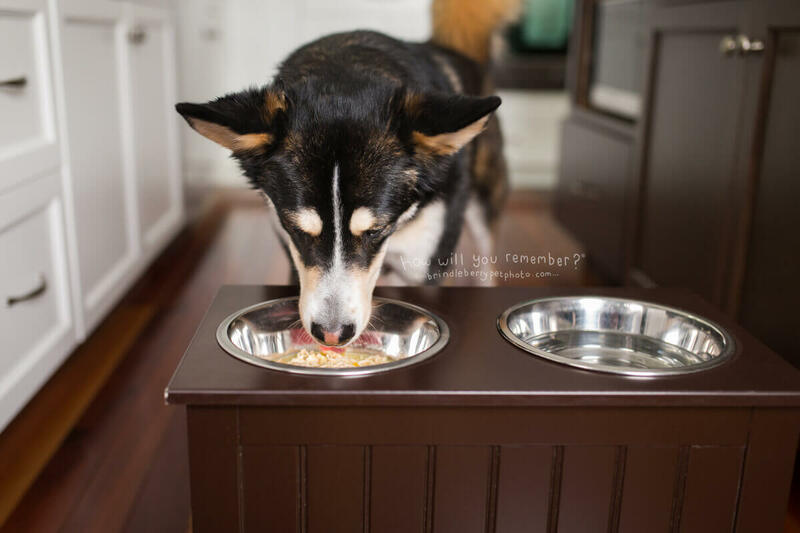 Most dogs transition from kibble to raw super easy (the other way around can be trickier! 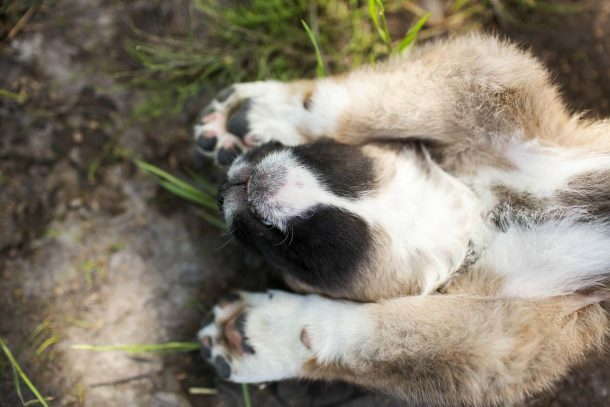 ), but if your pup has a history of having an overly sensitive stomach, then just break down the meals even more. Give 4 tiny meals over the first few days, and once you are confident the food is a good fit, go back to your regular feeding schedule. Please keep in mind that although we all strive for the “perfect dog poo”, that sometimes like us, dogs will have stomach upset that could be caused by any number of things, such as stress; over-eating; a bug; bacteria; something they found in the yard; swimming; etc, etc. If the diarrhea persists, be sure to take a stool sample in to your veterinarian for further testing. Have questions about diet changes? Ask them in the comments below, or make the BrindleBerry Promise and I’ll send you a link to my secret Facebook Group where we will continue our discussion.